The florist will create an arrangement to spell out your word eg Mum, Dad, Nan, Sister and any other. Colours may vary please be aware. 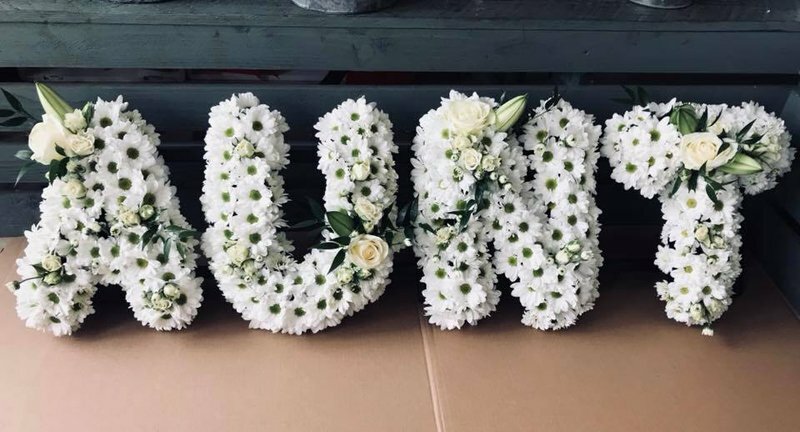 *price is standard to each letter* For example a flower display “Mum” costs £135. 00 To order, please click Enter your own price and add up the cost per letter at £45. 00 please let the florist know the actual letters you need in the special instructions. Important! This type of funeral tribute needs 2 working days notice to delivery. It is often not possible to make and deliver an item like this same day or next day.